reBabe. ‘ReBabe’ is the brainchild of Bénédicte and Melanie, two teachers on maternity leave itching to create! Inundated with hand-me-downs, and mindful of how much goes to waste when a new baby arrives, we decided to create one-of-a-kind pieces from recycled materials. Everything we make is recycled, upcycled, reused and altered! Heather Hartt-Sussman. Heather Hartt-Sussman’s charming story, complemented by the playful, quirky illustrations of artist Geneviève Côté, is a comforting exploration of friendship and the importance of trusting one’s own judgment. 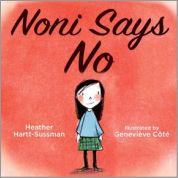 Many children will root for Noni as she learns that you can stand up for yourself and still be a good friend. Drop-In Centres are places that moms, dads, grandparents and caregivers can go with kids and hang out. They are all different. Some are publicly funded, some are privately funded. The programming varies from organization to organization. Some have circle time, some have infant programs, some have outside space, some have literacy programs. The list goes on and on. I believe that they all have ECE (Early Childhood Educators) staff. If you've never heard of a drop-in and you're pregnant or have an infant, I can't stress this enough... FIND YOUR LOCAL DROP-IN AND GO THERE NOW!. Don't worry about all the paperwork your midwife or doctor gave you. Just go to the drop in. There is too much to talk about here, but trust me on this, you won't regret it. When I was the mother of a 4 month old and was sitting in my living room wondering how I was going to get through another day, I really needed to know about these places. Here is a link to Ontario Early Years Centres so you can find one in your area. www.ontarioearlyyears.ca. Need stuff to do with the kids over the summer? Here are some useful links. HarbourKids - All things kids at Harbourfront - And it's FREE! 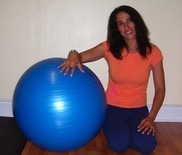 Felyce’s Fitness is In-Home Personal Training. Core and Strength training to help you achieve your weight loss and fitness goals. Personalized Exercise Programs in the privacy of your own home! No more loud classes or crowded gyms! No more travel time! Find out how exercise can change your weight and your life! Hair By Miranda - Want to get your hair done? Don't know what to do with the kids? Or maybe you're pregnant and you don't think you can get colour done? Well, Hair By Miranda will solve your problems. You can bring your kids with you - she has 4 herself and knows your pain! Also, she uses all natural, all organic ingredients so no need to go without beautiful hair while you're preggers. Oh, and she's a veritable rockstar when it comes to colour and cut! La Leche League Canada - For help with breastfeeding and general mommy baby support. Counselling Psychology - Maya Hammer, M.A. 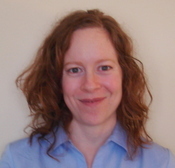 Maya is a psychotherapist working with an experienced team of Psychologists and master's level clinicians at the Health Psychology Clinic in downtown Toronto. Her area of specialization is in women's mental health, with a specific focus on the perinatal period that encompasses planning for conception, pregnancy, and the postpartum period. She also see individuals and couples facing issues related to anxiety, depression, trauma, relationship and communication issues, challenges with motivation, work transitions, sexual orientation, and gender identity. You're pregnant or your partner is pregnant. You want to have a healthy labour AND you want to feel good about your experience. You want to make the right decisions for YOU but you don't know what questions to ask. You want to trust your gut yet be well informed about what to expect from something you've never done before...wouldn't it be nice if labour came with a guide? 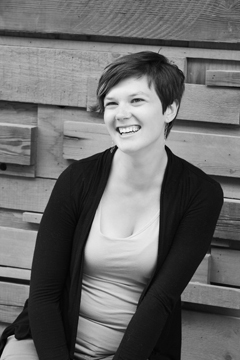 Amanda Spakowski is the founder of The Nesting Place and a birth doulas and prenatal instructor. She thinks childbirth is a transformative life event that can influence how you feel about yourself for years after your delivery. She want parents to feel more confident, less scared, more connected and less isolated in birth and their immediate postpartum. My Sensei once said that you do not study Karate for the .000001 percent of your life that you're in a fight. You study Karate to learn how to live in the 99.99999 percent of the time that you're not in a fight. It couldn't be more true. This is where I met my partner Duff and where we will enroll our son when he is old enough. Respect, strength, compassion and gentleness are taught equally to boys and girls, children and adults, through traditionally Karate training. I can't recommend this dojo highly enough. It is near and dear to my heart. Balanced Body, Balanced Spirit's mission is to provide tools for creating balance for children, both physically and emotionally through on-site Pediatric Massage Therapy as well as by teaching stress management tools to children, thier families, their caregivers and teachers. Our mission is to provide hands on treatment as well as education to all children including those with serious health issues and special needs. 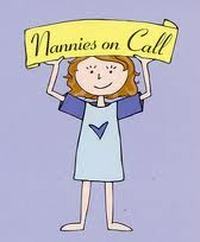 Nannies on Call - Nannies on Call is a bi-coastal boutique nanny agency. They provide Extraordinary on call babysitting services and Full-Time, Part-Time and Short Term. From coast to coast, Nannies on Call works with over 400 pre-screened, safety-certified Extraordinary Nannies. Finding good restaurants with or without a child can sometimes be a challenge. Below is our selection of places we really like! The Roxton - Located on Harbord just east of Ossington, The Roxton is the best place in the area to just chilll on the patio with a beer or a glass of wine. Join them for their Fall/Winter menu by chef, D. Ellis, paired along with some of their over 20 wines by the glass and 8 local draft taps. 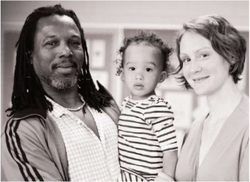 Becky, Junior and Elora - owners of The Roxton! The kitchen is open for extended hours, Thursdays, Fridays & Saturdays.